Other than the Willard (the imposing structure on the left - one of the most beautiful buildings in Washington), everything here is gone. Instead, we have a crapass ugly Marriott. Wonderful. 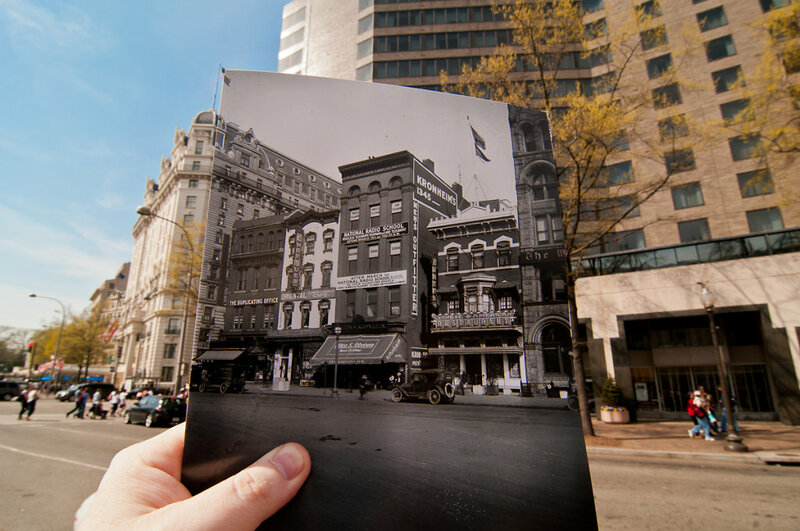 The building that is on the far right in the original photo is the original Washington Post building. Be sure to check out this Shorpy thread to get more info on all the businesses that used to occupy this block. I don't have this aligned properly because the square that the original shot was taken from is gone, and alignment was impossible.